Welcome back B33t Farmers! I am at a loss of words of what I was able to experience this past weekend. 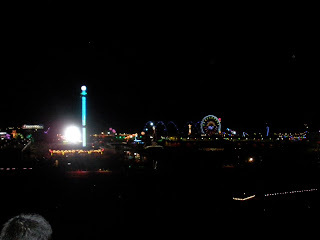 First off, I was an EDC-virgin before Vegas. I was skeptical when people would tell me "EDC was the best massive they had ever been to". How was one large "techno concert" different from another? Little did I know that what lay behind the race track doors was going to alter my view of music events forever. I was completely caught off guard as to how massive this event was going to be from the venue, to the music, and even to all the people (I've never seen so many obese people in one place....jk)! I don't want to bore you with my constant rambling so I'll try to be quick, concise, and cover the highlights of this jaw-shattering weekend. When I hear the word "Tiesto", it reminds me of why this music is so popular in the first place. You can argue that house is what popularized electronic dance music but in my mind, Mr. Tiesto was and is the first man to popularize trance/electronic dance on a global scale. With that said, he is what everyone makes him out to be: A fvcking GOD! His live skills are unmatched and his presence was felt, with every button he pushed or knob he twisted, throughout every corner of the arena. I felt a little bad for the other artists that had to play during the same slot of Tiesto; not only would they miss the magic themselves, it seemed as if EVERY person on the racetrack was in attendance for his epic two hour performance. Tiesto used his stage time to blow the crowd away with huge house bangers as well as some of his oldest trance hits. When the crowd couldn't take anymore, he pushed on and brought people to their knees with the biggest, newest tracks in his arsenal (as seen below)! The crowd when absolutely insane when he dropped this phat new track! If anyone knows song ID/release date, please leave a comment! LIKE THIS! LIKE THAT! YEAHHH! I could write about Tiesto all day but there is so much moar!!! Saturday, I started off with a little bit of Feed Me. At first I didn't know it was him due to the variety of tunes he played (check plus); I thought it would've been a more dubsteppy/electro house set. Instead, he moved efficiently between heavy electro house, house, dubstep, and even some dutch! Another top-notch live performer! Funky moombah-beats, heavy wobble, topped off with some dutch flair! Girls were breaking they backs to this filthy b33t!! Song ID for this track would be great! Please leave a comment! This song has a sweet little melody that builds into a neck breaking drop. The crowd melted. Sadly, I didn't get quality videos of Dada Life or Boys Noize but you already know they did not disappoint! Usually once the sun started rising, the crowd would start to disperse. Literally the entire arena was in attendance. Be on the look out for fresh singles from both Dada Life and Boys Noize. B33t b33ts b33ts b33ts B33TS! Last day, I had my mind on tha Mafia (It sucked that Bingo Players shared the same time slot)!! Now days, a lot of the bigger names (Afrojack, Guetta, SHM, deadmao-five) are getting criticism for going "mainstream". Yes, I am annoyed when I hear Beyonce using the Pon De Floor sample and yes, I want to cut my ears off when Jason Derulo butchers Show Me Love but in some respect, the entire electronic scene as a whole has grown due to this mainstream attention....Back to Swedish House. Wait before I get to SHM, I didn't get to hear much of Avicii due to some issues but I heard the last bit of his set and good lord, he had the main stage packed! Here is a snippet of his soon-to-be released single "Penguin" aka "Fade Into Darkness". Uplifting, emotional, perfect. Youtube is being a bizznitch. I will upload the other SHM vids later! Lastly, I saw Afrojack. Having missed his main stage performance and then listening to a recording of his live set Saturday, I can honestly day he threw down 100 times harder on Sunday. The highlight of the night was when he brought out his protege, R3hab and dropped their latest collab. *WARNING* This shvt is heavy! 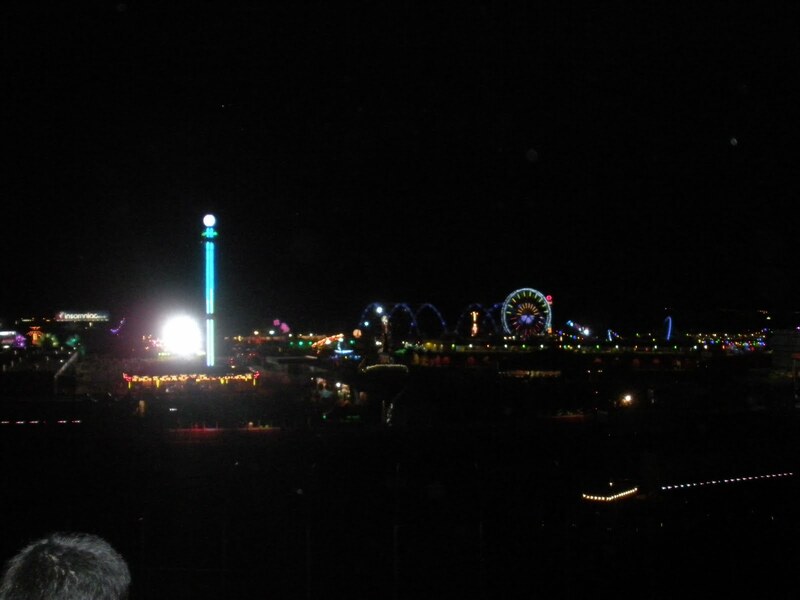 All in all, my first EDC experience was pure bliss. Insomniac did a great job with the set up and creating an experience like no other. See you all next year! You should DEFINITELY try to make it out next year! i was left speechless.